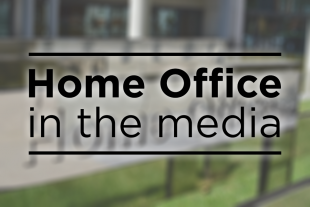 Today's Home Office stories include reactions to the Online Harms White Paper, a Windrush data breach, and the resignation of Bedfordshire Police chief constable. There is continued coverage across newspapers today of the Online Harms White Paper. The Sun, Express and Telegraph report on the Home Secretary describing the internet as a “hunting ground for monsters”. The Express reports that Sajid Javid said yesterday that terrorists and paedophiles trawl social media sites to groom young people, and has called on social media giants to develop technology to detect and remove child abuse images, terrorist propaganda and posts promoting self-harm or suicide. A comment piece in the Times supports the proposals, saying that there “are real safety concerns about a historically unprecedented technology”, and that the government is right to examine it. The Daily Mail reports campaigners have warned that the White Paper “could be a backdoor to totalitarian-style censorship” and is a “historic attack on freedom of speech”. There is further reaction today from tech companies to the White Paper. Twitter’s head of UK public policy, Katy Minshall, said in the Times that the company would work with the government “to strike an appropriate balance between keeping users safe and preserving the open, free nature of the internet”. The Times reports on how the White Paper may force social media companies to reveal some of their most sensitive and commercially valuable secrets. The paper reports that a newly created regulator will have the right to inspect and test algorithms used by tech companies, and will force companies to expose their business models. Read the press release on the Online Harms White Paper here. The Home Office has apologised after a data error exposed the email addresses of people interested in the Windrush compensation scheme, the Mail, Guardian, Times, Independent and Sun report. The Guardian’s article on the data breach received over 1,000 interactions on social media. An "administrative error" meant messages sent to some individuals and organisations who had asked to be kept informed about the scheme included other recipients' addresses, the papers report. Immigration Minister Caroline Nokes disclosed and apologised for the error in the House of Commons yesterday. The Times reports that the Home Office is reviewing the incident and has referred it to the Information Commissioner. Read the Immigration Minister's written ministerial statement here. The Telegraph and BBC News online report that Jon Boutcher, chief constable of Bedfordshire Police, has resigned, claiming his force cannot “protect its citizens”. Mr Boutcher attacked government cuts after he announced he would leave the role after five years in the job, the Telegraph reports. In a statement announcing his departure, Mr Boutcher claimed his force had been the worst-hit in the country. He went on to say that although he welcomed recent efforts by the Home Secretary and Policing Minister to invest in the police, he wished to remind the Government that its first responsibility is to protect citizens and therefore policing must be “properly funded”. We recognise the demands that police face, which is why the Home Office has this year increased funding for the police by over £1 billion this year, including council tax and the new funding to tackle serious violence. This is the biggest increase in police funding since 2010. Bedfordshire Police is receiving £112.9m in funding in 2019/20, an increase of £8m on 2018/19.